Leisure cookers are designed to be as flexible as you are in the kitchen. Each Leisure cooker is built to the highest specifications so they won’t let you down no matter how often you use them. If you enjoy cooking for guests or your family, you’ll want a dependable cooker that can handle any dish you care to make, including roast dinners, and delicate meringues. Leisure cookers heat up quickly and will cook your food evenly. And if you’re in a rush, you can heat up a frozen pizza with ease. 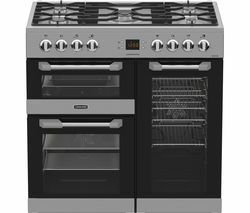 Choosing a Leisure cooker makes sense because they’re not only dependable, they look great too. They’re available in a variety of styles and finishes including cream, black, professional stainless steel and even red, so you’re bound to find one that matches your kitchen. 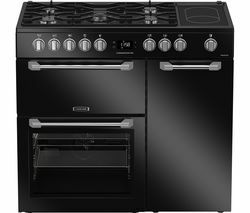 If you’re looking for an affordable cooker that will get the job done, from fish to chicken, take a look at our collection of Belling cookers and if you don’t see anything you like, check out our selection of Rangemaster cookers, and you’re sure to find something that will complement your kitchen. Whether you’re a budding chef who rarely leaves the kitchen, or you’re simply looking for a convenient way to feed your family at home, a Leisure cooker is ideal.